After discovering a mesmerising painting with no name attached to it, capitalist art dealer Choosy McBride and her idealistic boyfriend Dmitri journey to Northern Queensland, where their quest for the artist provides frustration and revelation in equal measure. 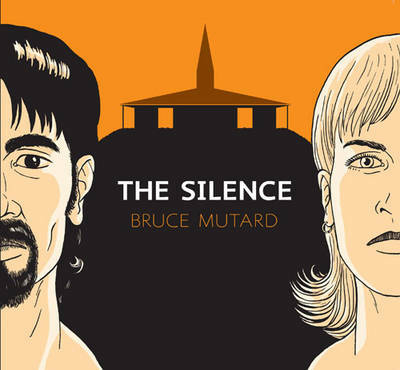 Bruce Mutard’s tale of a couple’s infatuation with an elusive artist is about as leisurely paced as it’s possible for a comic to be, a discourse on contemporary attitudes to art wrapped around a rather wonderful little mystery. Choosy and Dmitri’s credible dialogue is quite unlike anything we’re used to reading in comics, and a world away from the wham bam Hollywood screenwriting approach that so many writers adhere to . There’s an almost unbearably level of power play present in even their most mundane conversations; Choosy simply wants to profit from the mysterious artist, who is apparently happy to give his work away, while Dmitri vainly questions both his and art’s place in the modern world. Mutard fearlessly draws his characters as real people; Choosy’s flaccid stomach and large hips are a rarity in the medium. His eye for everyday minutia not only extends to the intimately rendered Queensland landscapes but his gift for prolonged storytelling. The scenes in which Choosy and Dmitri visit the almost mythical artist’s gallery atop a desolate hilltop hold more suspense than any horror comic I’ve read this year. Anyone who doesn’t quite “get” Woody Allen’s more introspective output, or is of the opinion that nothing could be more tedious than a bunch of pretentious middle-classed types voicing their educated opinions is advised to leave The Silence on the shelf and stand clear. But this book definitely deserves to find its audience; Mutard’s work is personal, thought-provoking and beautifully realised. And the infuriatingly vague (but bloody brilliant) ending is likely to rattle around reader’s craniums for some time. The Silence will be distributed to the UK by Frances Lincoln in June 2011.